This gallery offers some fine examples of our property photography for the residential and development sectors. A mix of residential, period and new build - property photography lends itself particularly well to images with a lifestyle feel. Our goal is to deliver property photographs which make an sensory connection and lead you into the space. DWP Imaging works with architects, estate agents, property developers, property and land management companies to convey a strong sense of what the living and working spaces that have come onto the market feel like. Paying particular attention to architectural features presents opportunities for detail shots to emphasise the character of a space. Post ProcessingNone of these shots are direct lifts from the photographer's textbook of lighting; our photographers will walk into a space, armed with a brief of how the property professional wants to present the property for sale, and then establish how best to use the available light and what additional light will be required to create just the right feel. Symmetry plays an important part in getting the right feel into a property photograph yet the correct lighting plays the greater part as lighting is the primary way to create mood in a property photograph. For instance, using light alone, our photographers can shoot the same interior and make the space look cool or warm, convey shallowness or depth or emphasise an interior's softness or geometry by creatively mixing daylight with artificial light sources, mixing coloured gels and lens filters. Property photographs need to show as much of a room's space as possible yet, although wide angle lenses can pull-in much more of the interior, wide angle lenses must be handled carefully so as not to introduce the massive distortion that single lens and single exposure photography can suffer with. 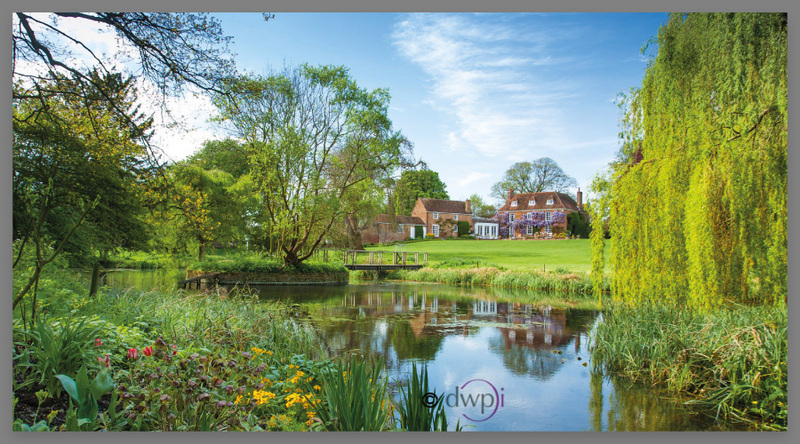 When one shot just isn't good enough DWP Imaging will shoot panoramic property photographs to maintain the integrity of the property whilst giving the professional the maximum amount of interior space to work with and sell.